I had almost forgotten how fascinating it is to read several books of the same author, one after the other. You see patterns emerge, recurring motifs, similar themes. Maybe not every author’s work is as homogenous as Yates’ is. In his case, the books are variations on the same themes. Some readers might find it repetitive to read so many of his novels, but I liked to see the patterns and differences emerge. Comparing The Easter Parade with Cold Spring Harbor was particularly rewarding. Most of Yates’ main themes are already present in Revolutionary Road but The Easter Parade and Cold Spring Harbor take them one step further. The similarities of The Easter Parade and Cold Spring Harbor are striking. In both books we have excentric, almost laughable, mothers who are prone to drinking. We have struggling daughters and/or sons, who desperately try to live a better life but fail hopelessly. We watch those daughters and sons have kids and already know they will pass on the “loser gene”. Divorce is as much a recurring theme as alcoholism, lack of ambition, self-deception, and a failure to stand up for oneself. The Easter Parade tells the story of a mother, Pookie, and her two daughters, Sarah and Emily. From the frist sentence on we know the story will not be a happy one. Neither of the Grimes sisters would have a happy life, and looking back it always seemed the trouble began with their parents’ divorce. If ever a sentence summed up the books of an author, then this is it. Not only does it tell us that his characters will not be happy, but it places them firmly in a family tradition, which predestines them for unhappiness. This is an extremely pessimistic view of families. While I agree, it’s very difficult to free yourself from the influence of a dysfunctional family, I’m not as pessimistic as Richard Yates. I do believe it’s possible. The two daughters in The Easter Parade live very different lives. While Sarah gets married early and has kids, Emily is a free spirit, who strives for a career and has many lovers. She does get married but the marriage doesn’t last. We can judge how pessimistic Yates was, when we follow Emily’s life. The only reasons, for me, why she couldn’t be happy was that her family prevented her. The strings that attached her were too tight, even after she left and went to live far away from them. Cold Spring Harbor tells the story of different people. Evan Shepard comes from a broken home, although his parents aren’t divorced. His father could never live the life he wanted to live and his mother is a severely depressed alcoholic. Evan marries too early, gets a divorce, and then meets his second wife, Rachel and her family. Rachel’s mother resembles Pookie. She too has two kids, a daughter and a son, she is divorced, has illusions of grandeur and drinks too much. About halfway into the novel, we know that Rachel will follow in her footsteps and possibly pass her unhappiness on to her child. We do have hope for the son though. Failed marriages and divorce are recurring themes but, unfortunately, Yates’ characters experience other forms of misery. They are either not ambitious and therefore never achieve any type of professional fulfillment, or they are ambitious but not good enough at what they are doing and will never know success. Both novels are sad and tragic but, strangely enough, they didn’t depress me. Yates’s outlook is pessimistic but when you look at his characters closely, you see that the misfortune is the result of their own doing. You don’t need to let your parents unhappy lives/marriages drag you down. Just because your parents drink, that doesn’t mean you have to start drinking as well. 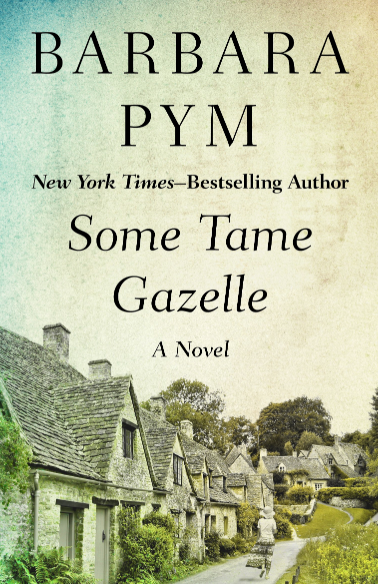 Maybe it’s odd, but in a way I found the books almost comforting because, maybe unbeknownst to Richard Yates himself, they seemed to be telling— this only happened to these people because they didn’t free themselves. And then, like in Revolutionary Road – there’s the writing which is simply amazing. He’s got a knack for describing people like not many other authors. Actually, this aspect of his writing, reminded me a lot of Jane Austen. I already felt that when reading Revolutionary Road but after these two books, even more. Like Jane Austen, he can see right through people and phrase this in a witty way. The biggest difference is the fate he’s got in store for them. Not one of them is allowed a Happy Ending à la Austen. That said, his observations and descriptions are so masterful that they always cheer me up. I’m not sure which of the three novels I’ve read so far I liked best. Possibly The Easter Parade. 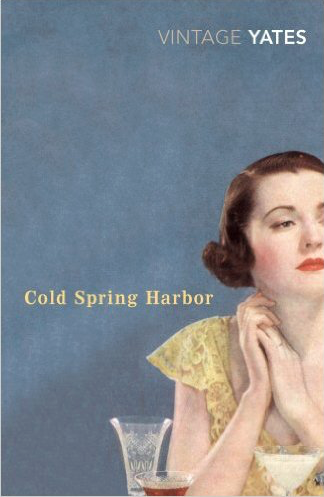 Cold Spring Harbor is like another version of that book; a slightly less perfect one. Here’s my review of Revolutionary Road. Two more books to add to my reading list. Thanks again for your close reading of the themes and the intrigue you’ve placed now in my head! Off to read your review of Revolutionary Road (the one Yates book I’ve read). It really pays off to close read and I believe it’s easier or more interesting when you read more than one book of an author. I’m glad I’ve inspired you to pick him up. 🙂 I hope we can discuss him. I’ve done this with Louise Erdrich–taking a look at multiple books–and it is a fascinating way to read an author’s work, to watch it grow and change, etc. Thanks again! I did it with Virginia Woolf and Jean Rhys. It’s was so great but I haven’t done it in a long while. Erdrich would be a very fascinating choice as well. That’s an interesting comparison, Caroline: a Jane Austen without a happy ending. He does have a very observant eye and sardonic wit for flaws and foibles, doesn’t he? I’m pleased you can find the books comforting and can read them one after the other, unlike me! Marina, Quiz question for you 🙂 What is the difference between ‘sarcastic’ and ‘sardonic’? I don’t know if it’s true, but to me ‘sardonic’ seems more cruel, more deliberately mocking. Or is it? Adrian : Oh, so you can dial a telephone! I was worried. I thought you might be paralyzed, or something. Ambrose : I wasn’t paralyzed. Adrian : I was being sarcastic. Ambrose : You were being sardonic. Sarcasm is a contemptuous ironic statement. You were being mockingly derisive. That’s sardonic. That’s a great way to illustrate the difference. At first I thought it might be far fetched to compare him to Austen but the way he writes about his charcaters is so similar. All the foibles exposed. She can be merciless too. We tend to forget that because of the happy ending. I find him truly comforting. Maybe I?m a bit weird. Sadly, both my parents could have sprung directly from his novels. Wonderful review, Caroline! Looks like someone has been on a Richard Yates reading spree 🙂 It is always fun to read and compare two books of the same writer. It is nice that Yates writes beautiful prose and comes up with powerful insights and sad that none of his characters get a happy ending. I loved you comparison of Yates with Austen. I can’t wait for your review of ‘Eleven Kinds of Loneliness’! Thank you, Vishy. I have a tendency to athour hop, but I should pick up books by the same authors more often. It’s so fascinating. A lot of what he writes about is taken from his own life. It’s sad to know that. Maybe he felt he was a failure, in spite of his novels. I’m looking forward to Eleven Kinds of Loneliness but at the moment I’m taking a break and read Ian McEwan. Great review Caroline! I tried to read Yates decades ago but didn’t really get on with him – maybe I would now, as a more seasoned reader. Thanks, Karen. I don’t think I would have liked him when I was much younger. As a teenager or in my twenties. Since The Aster Parade and Cold Spring harbor are quite short, you could pick one of those. I am so tempted to go on a Richard Yates binge, but my sensible side is telling me to space them out a little. The Easter Parade made my ‘best-of’ list for 2015, and your review of Cold Harbour suggests it’s in a very similar vein. Luckily I have it, but I might try his short stories next, just to mix things up a bit. It’s really interesting to read your commentary on the recurring themes in Yates’ work. I’ve no doubt the same ideas will crop up in his stories. Cold Spring Harbor and Easter Parade are very similar but the point of view us more reduced in EP. There are many more POV s in CSH. I suspect that themes should be similar in the short stories. I’ll pick up the next Yates book soon. 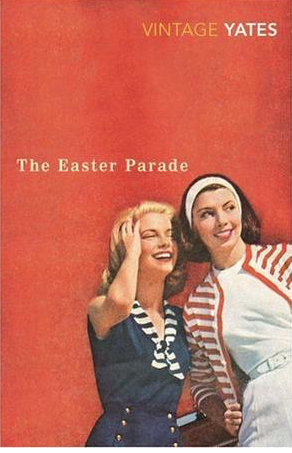 The only Richard Yates novel I’ve read is Easter Parade I really loved it and had meant to read more by him. I have found it interesting to concentrate on one author in the past -though often not one book after another- for a while because those themes do allow you to properly get a feel for that writer. I totally agree. There have been some authors like Elizabeth Taylor whose books I’ve read relatively close together but not as close as we his. It’s a different kind of reading. Allows to dig deeper. I guess that’s what you are doing with Virginia Woolf. I’m pretty sure you’d like other novels by Richard Yates. I’d love to know how you like Revolutionary Road. Richard Yates is one fine writer, and some day he will be rated up there with Hemingway and ahead of Fitzgerald. I read all his work a long time ago. I’m still a bit shocked that he was almost forgotten after his death and that his novels weren’t even available anymore. I really love the way he writes. Uncluttered sentences. And so finely observed. I really want to read Richard Yates. II agree with reading an author’s books together. The patterns do appear in the forefront . With certain authors like EM Forster and Hermann Hesse. I find that if I pay attention to publication order, looking at the way that ideas were developed over time can be enlightening. Absolutely. It’s quite fascinating. Btw – Kaggsy and I will host a Hermann Hesse week in March! I literally have three Yates titles next to the bed waiting.. that’s the premier waiting spot, and this has arisen after reading so many positive reviews. Premier waiting spot. That’s funny. He deserves that spot. I’m really keen to see what you think. The Easter Parade is very high on my TBR pile and a reading is imminent. I just love that opening sentence – and the Vintage covers are brilliant. I don’t feel like going on Yates binge as such, but I have been thinking of going on a ‘white male American realist’ binge which would include new books and authors (for me) as well as old favourites and re-reads. I’m looking forward to your thoughts on The Easter Parade. That first sentence is one of the best first sentences. The covers are mazing. I wish I had VIntage cover for Revolutionary Road – I have the movie cover. I don’t like that. Who will you include in your “white male American” binge? I have some catching up to do. I would like to know if I missed anyone. Ok, thank you. I think I’ve read quite a few of them. And some are still on my piles. Two I’ve missed so far are Tobias Wolff and Harry Crews. I’ve read Appointment in Samarra. So good. I haven’t read anything by O’Hara but I have heard of Butterfield 8. I’ll add him to the list. He’s worth reading, Jonathan. Another one of the almost forgotten wwriters. Yates does have a way of making his characters come alive. They are very much alive. I stopped now after book three and will pause a little. 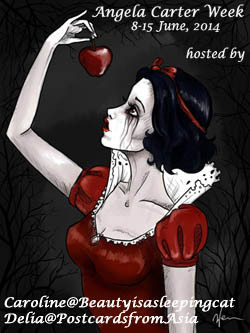 The on to the stories and Young Hearts Crying. I have to agree, reading more than one novel by a writer in succession enhances rather than degrades the experience – well, provided the writer is good! I think all of Yates novels are worth reading, and the echoes add to the experience. So glad you hear you feel the same. especially about Yates. In his case it’s a great experience. I should try this some time with an author who is more diverse – or has a broader range. Yates had his themes and returned to them again and again. But many of the great writers are like that. Very nice Caroline, and interesting re the reading works in succession. You actually tempt me to try Cold Spring Harbor ahead of The Easter Parade, so saving the better work for later. Thanks Max. I’m already reading book four, the short stories. If you think you’re going to read all of his books or most of them, then it might be good t keep Easter Parade for later. Other than JK Rowling, Yates is the only other author where I’ve read all their novels. It’s so fascinating to see his overarching theme work it’s way through totally different stories. I’ve only disliked one of his books so far, which isn’t too bad. I have his two short story books to read next, but I’m worried once I’m done, they’ll be no more Yates, and I’ll be sad. I’ve got quite a few authors whose every book I’ve reda but I always hesitate before picking the last. I’m readig the short stories now and I love to see the recurring themes again. Hi Caroline, I’m glad to read your reviews of these books. It’s nice to be reminded of an esteemed author like Yates. His writing and his characters are so sharp. I’ve only read Revolutionary Road, and now I’d like to reacquaint myself with his other works. Now that you mention it, his style is indeed like Austen. I just finished rereading Pride and Prejudice so it is fresh in my mind. I’ll be reading Easter Parade soon. I’m really enjoying his books. I’m glad that you feel the same about his resemblance with Jane Austen. He is such a sharp observer. I’d be very interested in hearing your thoughts on Easter Parade. I love Pride and Prejudice. That would be worth rereading.